If you follow me on social media you are no doubt already aware of this project, but I wanted to create a thread dedicated to it in order to share occasional updates regarding the production. This is easily my most ambitious project yet and I am very excited about it! 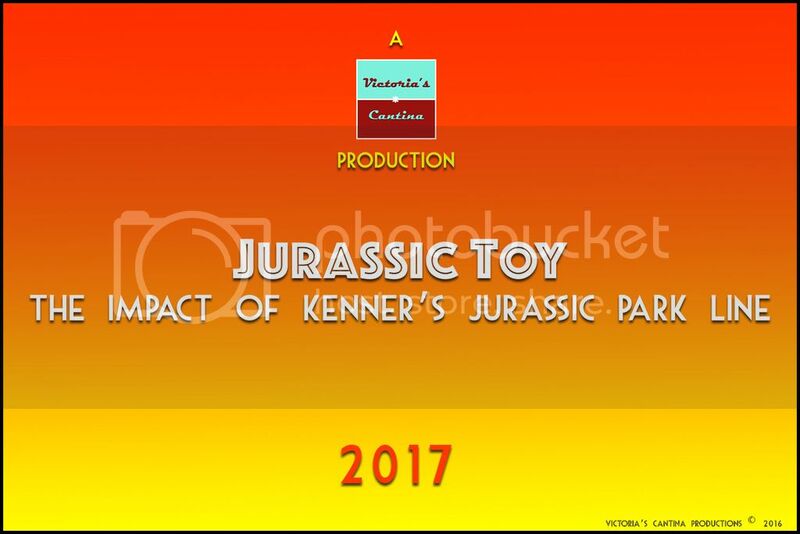 JUNE 16, 2016 – Victoria’s Cantina Productions is proud to announce JURASSIC TOY – THE IMPACT OF KENNER’S JURASSIC PARK LINE. This collaborative documentary will explore the storied history of the brainchild between defunct toy company Kenner and Universal Studios Licensing. Kenner, once the world’s industry-leading toy company behind Star Wars, Super Powers Collection and Ghostbusters, broke new ground with their Jurassic Park product line in 1993. The cultural impact left by this line is vast and nostalgically looked upon by millennials who once created their own adventures with Kenner’s man-versus-dinosaur lineup. To augment its historical and cultural perspective, JURASSIC TOY will feature testimony from ex-Kenner employees, select cast and crew from the Jurassic Park films, toy industry experts and the Jurassic Park fan community that keeps the memory of this storied toy line living. JURASSIC TOY is scheduled for release in 2017. Victoria’s Cantina Productions is a San Diego-based media production company that specializes in toy and collectible reviews across a varied spectrum of properties, franchises and companies. Sounds awesome! I look forward to watching it. Hope they cover the 1997 TLW toyline wich many fans consider to be the best. Amazing stuff, very excited for this. This is fantastic Victoria. Can't wait to see progress updates and the official reveal. Quite a project! Best of luck. Victoria, I've stickied this thread so it stays at the top. Keep us updated! Thank you, everyone! I will keep you posted as updates come along. I am hoping to get a teaser out after production officially begins. (06-29-2016, 10:46 PM)Jack Wrote: Victoria, I've stickied this thread so it stays at the top. Keep us updated! Great, what a nice thread to sticky! Did you by any halve do any ex-Kenner employee interviews yet? Just a quick update that the project has been listed on IMDb.